By third grade, themes revolve around the child's more concrete way of thinking. Studies include agriculture, human habitats, community studies and cultures from around the world. 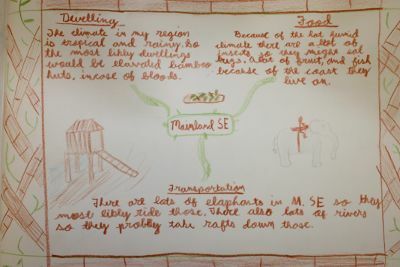 Form drawing makes a connection to cursive writing and literacy leads to more in-depth work with grammar and language mechanics. Modes of writing, parts of speech, topic sentences and paragraph structure are explored during main lesson blocks. In math, multiplication tables, measurement, common fractions, decimals, redistribution, number patterns, prime numbers and geometry are covered. Science themes include energy and forces of gravity, agriculture, water cycles, gardening, aquatic habitats and beach ecology.